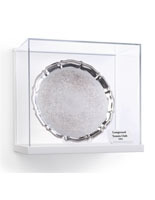 Ensure your collectibles or gallery art pieces are showcased properly with this wall mount acrylic shadow box display. 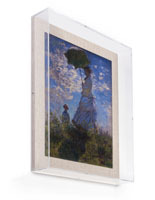 The sleek design offers modern appeal while maintaining focus on the 3-dimensional artwork piece inside. 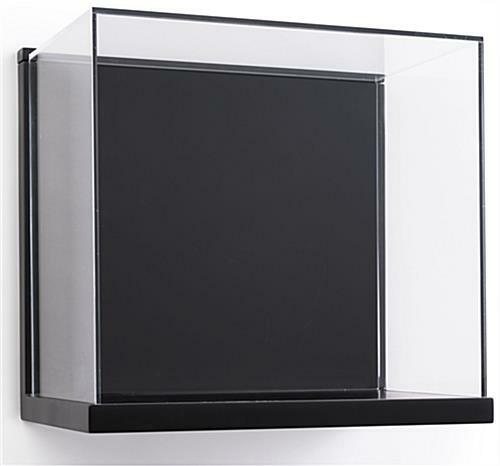 From the clean lines of the clear casing to the sleek black backdrop, this elegant acrylic shadow box display frames artifacts in style. 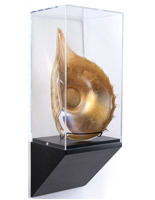 This vitrine features a lift-off case for your collectibles to easily be placed on the MDF deck and will keep them intact while being presented to the public. 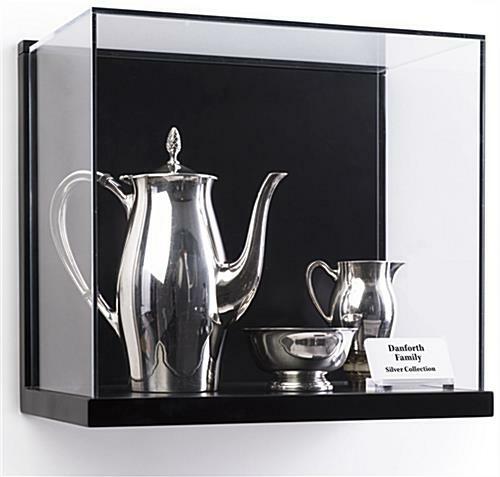 This gallery style showcase properly frames any 3-dimensional artwork, rare jewelry, or antique silver platters as they hang in your exhibit. 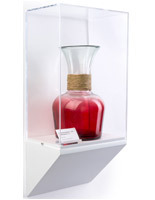 Design a dynamic museum experience anywhere with this shadow box display. 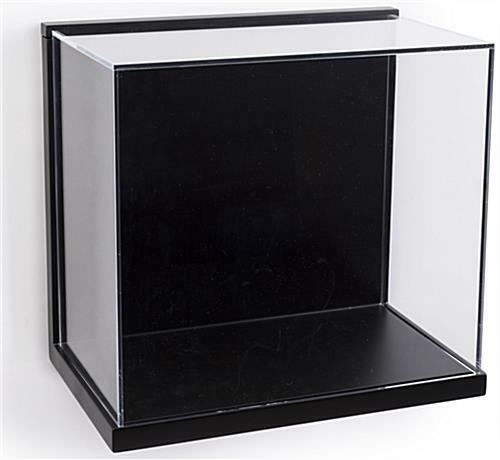 16.0" x 14.8" x 10.0"
15.1" x 13.3" x 8.8"
This case is superb! Nice black finish. 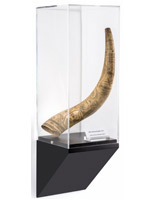 Solid case with easy to mount brackets and a secure way to keep the plexiglass cover secure for valuable items displayed.